From November 26th until December 8th 2018, FORCE Technology in Lyngby, Denmark successfully conducted wind tunnel tests on a scale model of OOS Zeelandia. 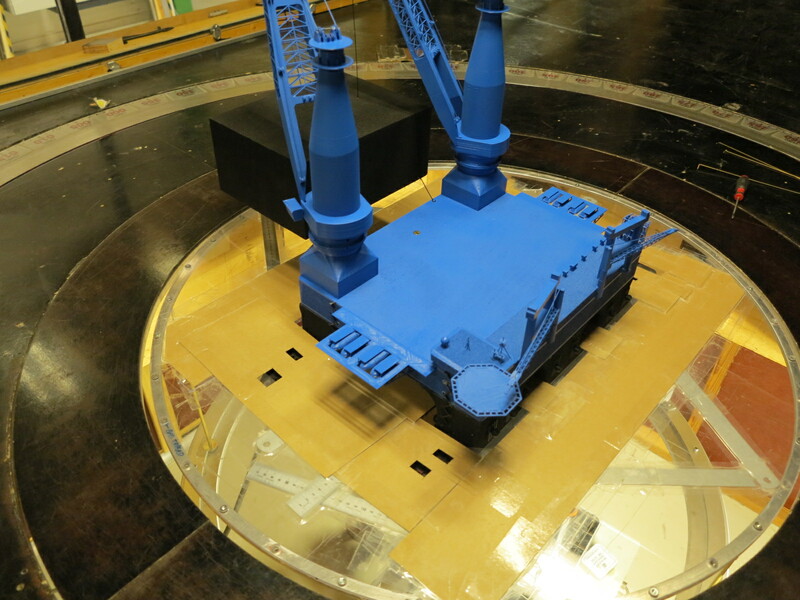 The tests were carried out to measure 6-degrees of freedom wind and simulated current loads and moments with the vessel’s above and below waterline portions, with wind and simulated current coming from all defined directions. • To obtain wind force and moment design data for transit, operational and survival conditions – above water parts. • To obtain current force and moment design data for transit, operational and survival conditions – below water parts. • To find the critical heading angles where the wind and current overturning moments become maximum. • To verify numerical and empirical predictions of wind and current forces and moments. 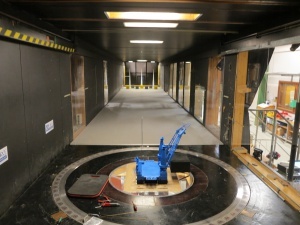 The model test results correlate well with the calculations and simulations carried out during the basic design phase. However they helped to better establish the margins and allowances that need to be added for the inclination effect and also determine the lift forces, that are difficult to calculate using simplified empirical models. 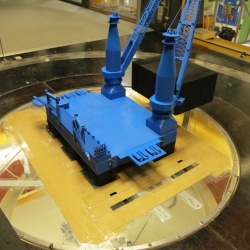 The correlated data will be used to design the hull to ensure compliance with the stability requirements, to assess the vessel motions, to assess station keeping capabilities, to establish the minimum thrust required for stationkeeping, to assess hull resistance and propulsion and to verify structural strength. 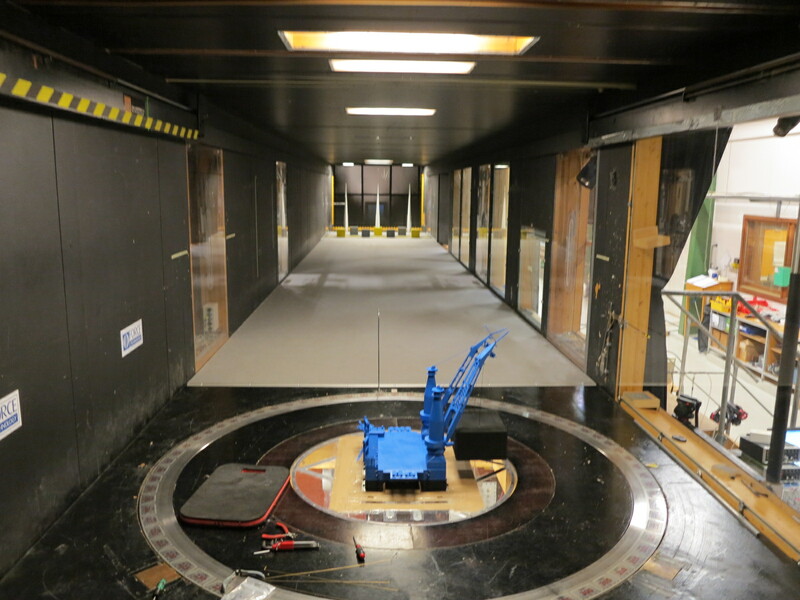 The wind tunnel test covers all of the vessel’s operational conditions, including transit on minimum draught, transit with 20,000 tonnes structures on deck, light (16m) medium (22m) and maximum (28m) heavy lift working draughts, damage stability with various scenarios and more. Results will permit further optimization of DP/Propulsion plant.